So, I have one broken adapter and opened it today, found the 10uF 400V capacitor broken so I desoldered it. 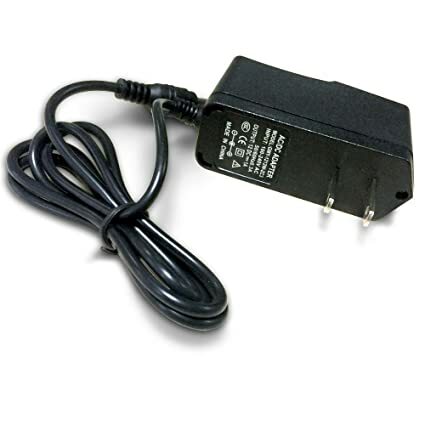 Is it OK to replace on of these to the adapter? You want know if replacing a capacitor with one of less than half the value is ok? What do YOU think? You could just parallel two them. I don't know exactly! Because I learned that in power supply, the power capacitor doesn't matter much if the capacity is different, the most important is the voltage. But I want to be sure. Yeah but it's a small adapter, maybe there's no much space for another one. Because I learned that in power supply, the power capacitor doesn't matter much if the capacity is different, the most important is the voltage. You need a new teacher. It may work with the reduced value or it may not, it is generally safe to replace a capacitor with one of a higher value, although not necessarily one with a lower value..
Get the right replacement - and make sure it is rated for 105C temperature as well. There are many sources of information. The information I learned about the capacity of the capacitor was something I learned by the quick information I get in surfing the web so for this particular one I don't know where I learned that. But I may parallel two of those 4.7uF, I checked the adapter and they fit. It's at least better than risking by replacing 10uF by 4.7uF. It's 12V 0.5A adapter. I don't know if it would work. I would like to try or better parallel two 4.7uF as suggested by barry. Yes, they are both 105C. Of course it's better to get the right one, but I got this lot of 4.7uF 400V capacitors which I ordered previously. And now I encountered this adapter which has the faulty 10uF capacitor. I thought I would work and a chance to fix this adapter and maybe learn something about capacitors. Capacitors in parallel (across each other, - to -, + to +) gives you the sum of their values so two 4.7uF gives you 9.4uF which is close enough to the correct value. Check there is sufficient space inside the adapter body to fit two though and be careful to keep them away from hot components as much as possible. Be aware that the capacitor normally charges up to about 320V and it is not isolated from the incoming AC lines. If you have to mount it away form the original position, keep it well clear of the output side of the adapter which IS isolated. If anything bridges the two sides it poses a serious safety risk. The capacitor charges with voltage first I measured 220V and dropping slowly. But I didn't measure an output voltage which is the 12V DC. I don't know what's the problem. What value did you measure? What instrument did you use? Meter? Scope? This might indicate that the original capacitor failed because of ANOTHER failure downstream. Without a schematic all we can do is make guesses as to what your problem is. Presumably, the cap in question is across the output of a rectifier. Where it goes from there is unknown. Maybe a bad transformer. Maybe a bad chip. Have you measured the voltage across the diodes when powered? Does that IC have a datasheet to help know what voltages should be seen at each pin WRT GND when powered? Maybe measure capacitance when unpowered and it might give a clue as to whether any caps are faulty but in-circuit and unpowered it's not so reliable. If F1 is a fuse under that heatshrink, measure output end, maybe it's blown. Whatever MO??? component is might be worth checking. Is it a MOV? A birds-eye view of the PCB above and below would maybe be more helpful than those "there's an earthquake going on in my lab" angled ones for someone more experienced to understand the circuit flow. For guessing how many jellybeans in the jar, I'd start with lifted/cut track and toasted IC checking, but I know nothing much. I measured a short between the BP and S. Could that be a fault? Normally capacitor(s) with that value and voltage rating are immediately after the rectifier diodes so the operation of the output circuit is irrelevant. It points to a problem between the incoming AC and the capacitor. If you could photograph the other side of the board it would help us work out the input side circuit. From the picture I would first investigate whether the track near the edge of the board between R1 and R4 is OK, it looks to have buckled which might indicate it has passed a lot of current and overheated then cracked. Not if S and BP are supposed to be connected. And I'm afraid I must disagree with betwixt. If there's something wrong with the output circuit that's causing an excessive load, it most certainly IS relevant. 1. The track between R1 and R4 is OK, that area actually cracked of soldering/desoldering the main capacitor but I bridged it again. 2. The output is 0V, but when the adapter is OFF I tested the ohms between the output capacitor, I get 300 ohms. And there's no sign that the capacitors are charging! 3. I noticed something, there's no power MOSFET! Does that mean the IC is doing that job? If so, then .. oh yes according to this application example of the chip. It actually does that job. 4. But according to the same application example, I think there shouldn't be any short between the bypass and the ground. So, as mentioned a long time ago, maybe that IC is bad. Maybe C4 is bad. If you look at the schematic of the LNK626, theres a zener from BP to S. If you've got the polarity from your meter backwards, and your meter puts out enough voltage to forward bias the zener, it will conduct. When you say "short" are you actually seeing zero ohms? Do you know that your ACTUAL circuit is the same as the example? There are a lot of questions here. And what's all that waxy looking stuff on the IC? Did the encapsulant of the transformer melt? Got to disagree back Barry! Using the schematic in post #17 which I appreciate is not exactly as on the board, the capacitor in question is C1. If the voltage across it is dropping slowly, it implies a problem in the path between the AC input and C1. A load big enough to pull the mains down would have serious consequences and be very visible as fire and smoke. The IC is quite likely at fault but from experience, when they break down they usually have a crater in the middle of the package and shards of plastic scattered around, they rarely die gracefully! Other likely culprits are the other capacitor in the nearby corner of the board and the output reservoir capacitor near the output cord. I'm sorry I have to clarify that the dropping is the normal discharge of the main capacitor after disconnecting the 220V. I said that to tell that the capacitor is actually charging and discharging fine with no serious problems; like, if it discharge instantly, this behavior could be OK and could be not I'm not sure about the fast discharge after disconnecting the power but the slow discharge is OK. So the capacitor charges to 320V with the power ON. 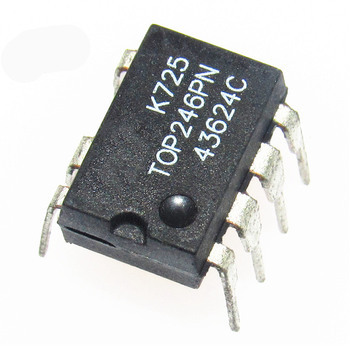 Yes I think it's the IC because I think it's not doing any switching to the 320V across the transformer. Which is of course the reason I get 0V at output. But now it comes if I want to order some of the LNK626 chips to pursue the troubleshooting! Because the adapter isn't mine, it's for the organization. But I have this chip in my chips' box. But I know it won't work as a replacement for the LNK626.